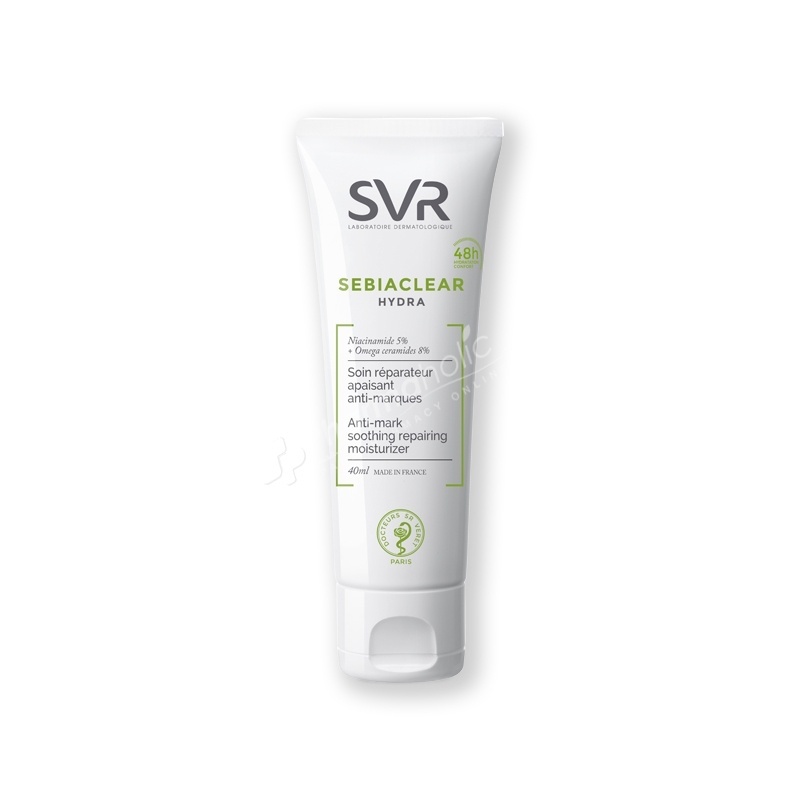 SVR Sebiaclear Hydra is the first anti-marks soothing repairing moisturizer specifically developed for acne-prone skin subjected to drying treatments. Description: SVR Sebiaclear Hydra Anti-Mark Soothing Repairing Moisturizer with micro-aerated texture is a care created to repair, soothe, reduce the marks of acne-prone skin under drying treatment. Ultra comfort, this treatment for oily skin weakened by drying treatments offers a soothing and restorative enhanced action, acting against the red and brown spots. - Hydrophils sugars: moisturise 72 hours. Dander and roughness are visibly reduced. Non greasy, non sticky. Hypoallergenic. Non-comedogenic. Without paraben. Fresh fragrance without allergen. Use: Apply morning and/or evening on clean skin. Indication : To repair, soothe, reduce spots of acne-prone skin, under drying treatments.